Giving you peace of mind & excellent service – that’s what matters most! Nothing gives us more pleasure than giving you excellent customer service and support, so you can enjoy the peace of mind of a perfectly working and serviced garage or roller door! 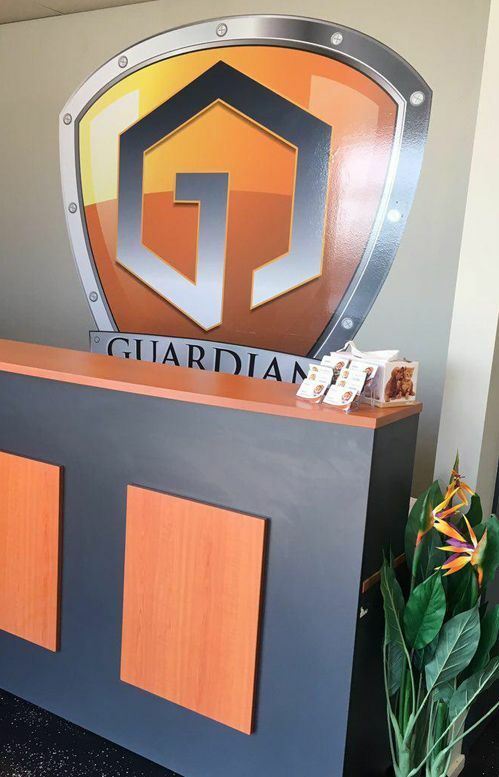 Guardian Doors is a W.A. owned and operated business dedicated to industrial and garage doors, roller doors (including shutters for windows and doors) and automatic gates, based in Wangara, north of Perth. We’re members of the Australian Garage Doors Association and have a team of excellent technicians and installation engineers with over 60 years’ combined experience. We service commercial clients, including all businesses, industrial warehouses and agricultural works, and domestic, local and state government. Our company installs new doors (commercial and residential), with a strong focus on maintenance, repairs and emergency callouts. This focus has evolved organically, due to receiving an abundance of praise from happy customers. We discovered there was a lack of sound, supportive customer service in the Perth garage door industry – so we’re happily filling that gap! At Guardian Doors, you can look forward to total peace of mind with all your servicing needs. All customers need ongoing support, clear communication and quality servicing. And at Guardian Doors, that’s what we do best. Guardian Doors offer competitively priced maintenance packages for the commercial sector, as well as domestic clients. Please contact us for more information. If you have an emergency problem with your garage door, roller doors or shutters, call us immediately. Our 24/7 Emergency Callout Service is available 365 days of the year. Best of all, we can be with you within three hours to fix your problem. If your problem can wait, ask for our regular callout service – you’ll have the piece of mind that one of our experienced technicians will be by your side within 24 hours. All our installations come with a 12-month installation warranty while all our garage doors come with excellent warranties – some up to 5 years. If you’re interested in any of our services, please read our FAQs, which cover several topics, from services, what’s involved in a service, pricing, booking appointments, DIY care and more. Talk to us – we take the stress out of garage doors! As we pride ourselves on the level of care and service we offer, we’re always willing to chat. If you have a question about your garage door, or are interested in any of our services, please give us a call. We also offer FREE advice over the phone, so call us on (08) 9408 1602. Like to give us any customer feedback or write a review? We’d love that, too! Join us on Facebook and keep the conversation going! We’ll tell you what’s new, give you loads of maintenance tips, plus great info on house and garden design ideas.